This budded seedless selection of white ash is a rapid grower that will tolerate moist conditions. 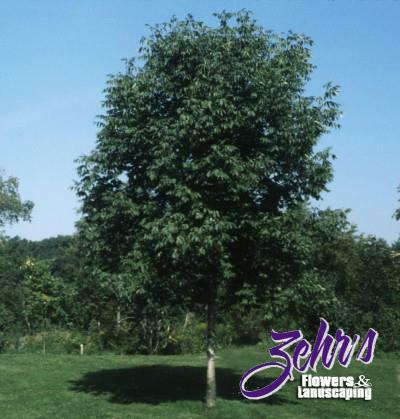 An excellent street and lawn tree, it has glossy foliage that displays handsome deep purple fall color. 1995 Iowa Tree of the Year. Rarely or never fed on by Japanese beetles.